When the nation’s top high school cross country runners pull on their racing shoes, begin their warm-ups and mentally prepare for the grueling challenge that lies ahead, they all have the same singular goal in mind: They want to win. First, they want to win in their high school division and county. After that, they want to win at the state level and then at the regional level. And finally, they want to win the high school competition that matters most of all—the demanding, 5-kilometer (3.1-mile) race at the Foot Locker Cross Country Championships (FLCCC). Over the course of its 34-year history, the Championships have become so deeply associated with distance running, so intrinsically tied to the pursuit of greatness in cross country, that high school runners and their coaches refer to it simply as “Foot Locker.” As in, “Are you doing Foot Locker?” or “Next year my dream is to make it to Foot Locker” or “Didn’t she qualify for Foot Locker?” For those seeking a true test of their training, determination and athleticism, there is only Foot Locker—all other races simply lead up to it. This legendary racing event was originally developed to bring together elite high school runners from across the nation and to decisively name one male and one female as the best high school distance runners in the US (with the top 15 finishers in each gender division earning “All-American” status). These remarkable distinctions, or simply being recognized as a national finalist, are invaluable to those at the front of the pack, not simply because they’re the result of countless miles and relentless training, but because Foot Locker is the ultimate proving ground for those aiming to win NCAA titles or reach the world stage at the Olympics. 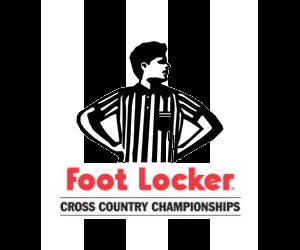 The race that is now the Foot Locker Cross Country Championships, held annually since 1979, was originally sponsored by Woolworth’s Kinney Shoes. But since 1993, Foot Locker has been the title sponsor associated with this renowned event—making it one of the longest continuous sponsorships by a single company in sports today. The first race was held in Balboa Park in San Diego, California, and moved to Orlando, Florida for seven non-consecutive years, before returning to Balboa Park for good in 2002. Since its inception, a few other things have changed about the race besides its name and location of the finals. For example, the number of regional qualifying competitions across the US has dropped from five to four and the number of qualifiers in each region has jumped from eight to ten. Specialty uniforms are now created for Foot Locker finalists. For those who reach the finals in Balboa, the Foot Locker course is certainly no walk in the park: the winding, figure-8 path through Morley Field is filled with varying terrain. Some portions are flat or slightly downhill, but there is one particularly large hill that must be climbed and descended twice—once just after the 1-mile mark and again at the 2.25-mile mark, when many runners are exhausted. There is also a slight uphill toward the finish line, and these arduous final strides toward glory make a victory tougher—but even sweeter. Another reason this competition is so meaningful: It has produced many of America’s greatest college-level, professional, and Olympic-distance runners. Chew on these statistics: 12 Foot Locker National Champions have gone on to win an NCAA title and a whopping 37 Foot Locker National Finalists have gone on to become Olympians. In other words, for many high school runners, this race represents more than just the present—it’s also about the future. The competition, which showcases runners’ talents on the national stage for the very first time, has the ability to elevate cross country athletes to the next level and lead them toward success on an even grander scale. The Foot Locker finals may be filled with future champions, but the race in 2000 truly had an all-star roster. It showcased three of America’s most successful future Olympians. That year, Alan Webb and Ryan Hall finished just behind Dathan Ritzenhein. Later in life, Webb set the American record for the mile (3:46.91), Hall set the American record for the half marathon (59:43), and Ritzenhein set the American record for 5,000 meters (12:56:27). Some spectators say that this was the greatest race in the history of the FLCCC. Others say the most memorable race occurred in 1986, when Marc Davis defeated Todd Williams and Robert Kennedy in a close race. Davis went on to compete in the Olympics and set the American record for 5,000 meters. Williams became a two-time Olympian and set the American record for 15K. Kennedy won the FLCCC the following year, clinched an NCAA championship as a freshman at Indiana University—and then competed in two Olympics, setting the American record for 5,000 meters on the track. Another celebrated race was in 2003, when Galen Rupp and Matthew Withrow made the championship a two-man race at the 1.5-mile mark. One would pull ahead, and then the other would do the same—it was back-and-forth for miles. During the last 800 meters, they both broke into an all-out sprint and Withrow eventually edged out Rupp. Rupp didn’t remain defeated for long, though, because he went on to set the American record in the 10,000 meters and win an Olympic silver medal. True fans of Foot Locker Cross Country and San Diego locals) can never forget Meb Keflezighi. This runner wasn’t American-born, but has become something of a hometown hero, since he grew up playing soccer at Balboa Park. He was inspired to run cross country when he saw races taking place around the soccer fields. During his senior year of high school, in that same park, he finished second at Foot Locker. Keflezighi later won an NCAA championship at UCLA, many USA senior national championships, a silver medal in the 2004 Olympics, and the 2009 New York marathon (the largest in the world). Another standout is two-time Foot Locker finalist Evan Jager, who went on to set the American record in the steeplechase (8:06.81), which had been previously set by Foot Locker finalist Daniel Lincoln. FLCCC regional finalist Leonel Manzano also made his mark when he won the silver medal in the 1500 meters at the 2012 Olympics. Several female runners who competed in Foot Locker have also solidified their place in distance running history. Jenny (Barringer) Simpson, a 2003 and 2004 FLCCC finalist, set the bar high when she went on to become a four-time NCAA champion at the University of Colorado, set the American record in the steeplechase (9:12.50), and won the gold medal in the 1500 meters at the World Championships. Molly Huddle, the current American record holder in the 5,000 meters on the track (14:44.76) and a 2012 Olympian, finished fourth in the FLCCC in 2001. On two occasions, Shalane Flanagan came very close to qualifying for the FLCCC, but didn’t make the cut. Perhaps it was those near misses that fueled her to become the current American record holder in the 10,000 meters (30:22.22) and win the bronze medal in the 10,000 meters at the 2008 Olympics. One of the most famous female distance runners of all time, Deena Kastor, qualified to compete in Foot Locker all four years of her high school career. She became an All-American at University of Arkansas, won multiple USA senior national championships in cross-country and track, and won the bronze medal in the marathon at the 2004 Olympics. History, as we all know, tends to repeat itself. Who will be the next Ryan Hall or Deena Kastor? If you’d like to check out future college champions, U.S. record-setters, and Olympians, the place to see them first is at the Foot Locker Cross Country Championships.